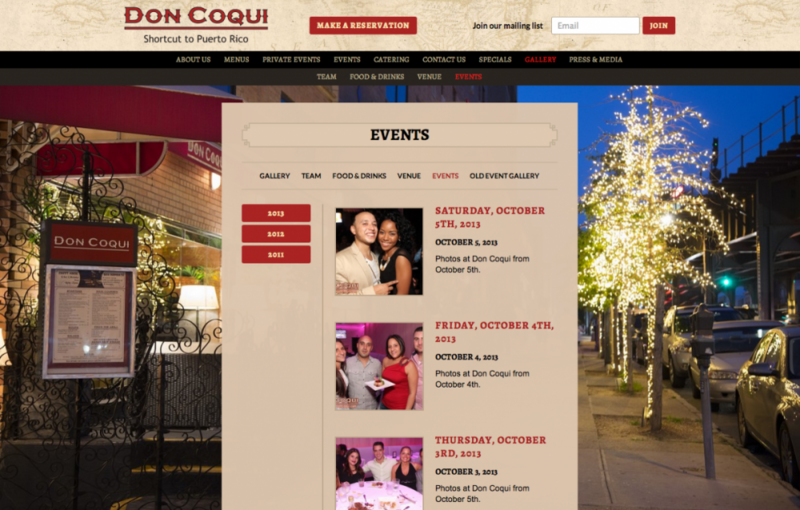 Don Coqui, a fine dining restaurant and lounge located in Astoria, NY, had a website that was outdated and had a very poor user experience. A critical part of the redesign was updating overall site structure to make it easier to navigate as well as find important business information. Photography is much more prominent, menus are easier to browse, and promotions are featured on the homepage. Additionally, their event gallery needed a complete overhaul to make it easy for visitors to browse galleries, view photos, and share media with friends on social media.